In the summer of 1998 Charlie acted for a group of environmental activists, AQUA (Anti Quarry Action) and a local community (Teigngrace Parish Council) at a Public Inquiry in Exeter. A planning application by one of the world's largest ball-clay companies, Watts Blake Bearne plc to extend an open cast ball-clay quarry in the Teign Valley on the edge of Dartmoor had been granted approval by the planning authority, Devon County Council. Controversially, the proposal involved the diversion and artificial channelling of two Dartmoor rivers, the Bovey and the Teign. 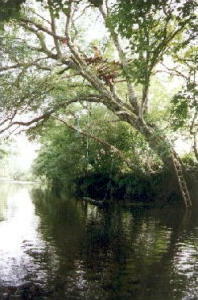 The site chosen was one of high nature conservation interest, of landscape importance and of archaeological interest. As a result of a site occupation by environmental activists and a successful public campaign involving the petitioning of DETR with 3,500 signatories and with the help of leading environmentalists such as David Bellamy, the proposal was called in by DETR for a Public Inquiry. Working in close co-operation with the Devon Wildlife Trust, Charlie obtained Rule 6 status at the Inquiry and produced evidence from the local community and from experts in ball-clay geology and fluvial hydrology. Six weeks into the Inquiry it emerged that the flow rates used by the applicants on which their computer generated model of the artificial channels was based were unreliable. The scale of the error was such that had the river diversion gone ahead as proposed there could have been widespread flooding of the nearest town downstream, Newton Abbot. As a result of the error which emerged under cross-examination of the developer's experts, WBB were forced to withdraw the application from the Inquiry. In an almost unprecedented decision the Inspector recommended, and the Secretary of State approved, a costs order against the developers in favour of the objectors to the proposal. 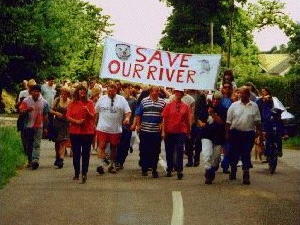 Teigngrace—river diversion plan withdrawn, Friends of the Earth: press release, 10 September 1998.